This is a sponsored article on behalf of The Camden Dining Group. 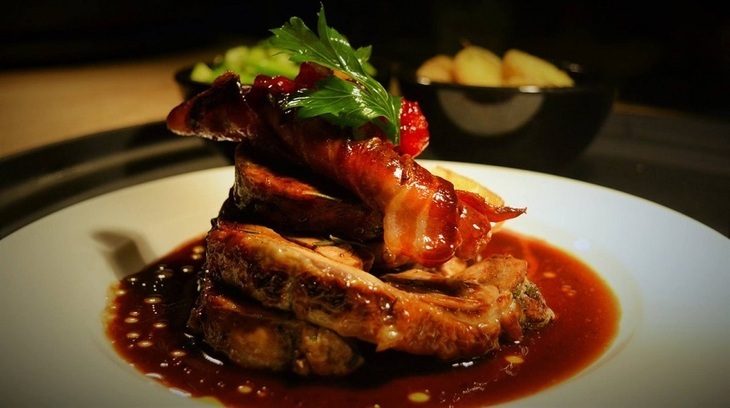 Looking for a celebratory Christmas meal with a difference? Perhaps you fancy venturing beyond your usual destination for your office party this year? We suggest making your way to Camden, where one of these three exotic establishments is sure to tempt your taste buds. With special Christmas menus that are a welcome change from the standard turkey and stuffing, Gilgamesh, Shaka Zulu and The Cuban all offer a night to remember. 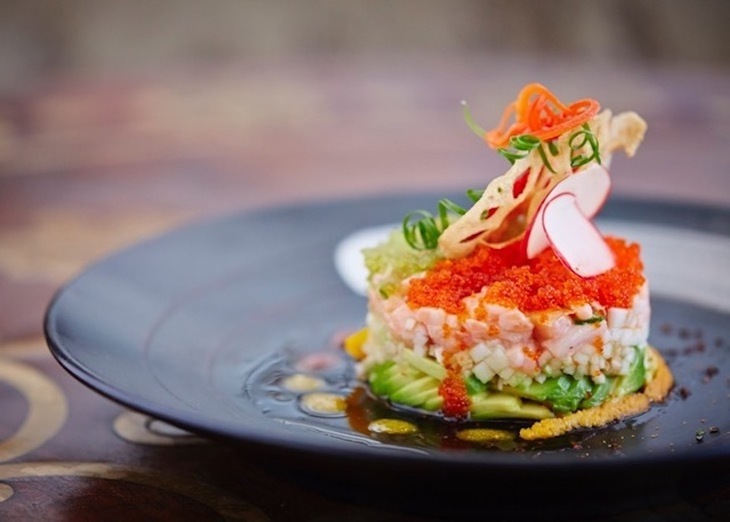 In the heart of the famous Stables Market, Gilgamesh is as bright and quirky as Camden itself. With a world-renowned Pan-Asian menu the restaurant also has a dedicated sushi menu, as well as a lengthy cocktail list. Floor to ceiling windows, oriental design and golden statues galore, this is a far cry from the office — with décor and atmosphere designed to impress. 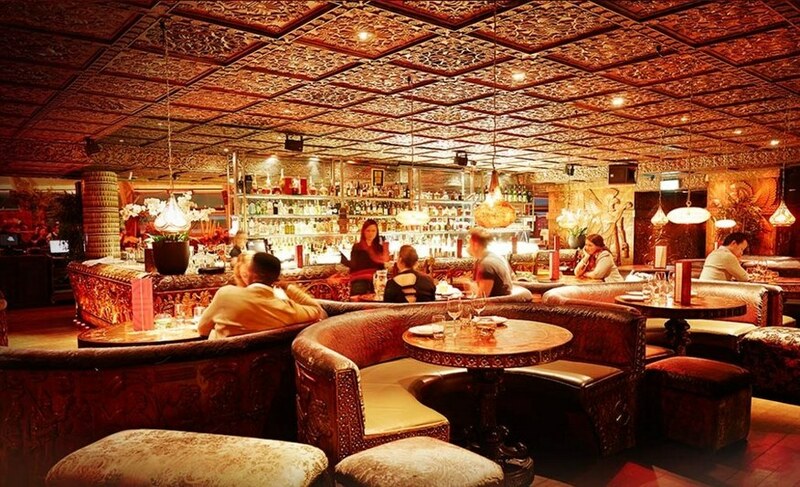 A favourite celebrity haunt for the likes of Ellie Goulding and Prince Harry, Gilgamesh is offering a Christmas deal for a bargain price of £35 per person, which includes three awesome courses and a glass of fizz to get you in the mood. From a starter of chicken satay or Vietnamese prawns, head onto the main course, with options including grilled teriyaki salmon and Thai green chicken curry. Those with a sweet tooth will look forward to a tempting trio of Asian desserts — then head to the upstairs club for a night of great music and awe-inspiring live acts. 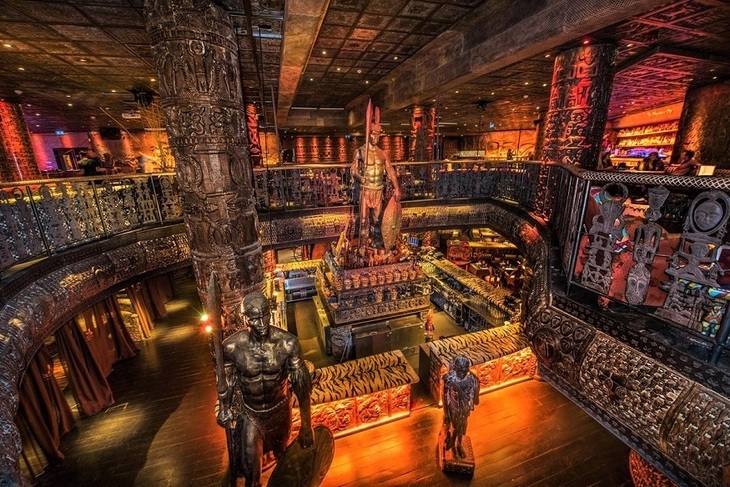 Take a trip to South Africa as you step inside Shaka Zulu, a two-floored venue with a restaurant, bar and club above Camden's Stables Market. Carved wooden murals cover the walls of this exotic destination, which boasts a mezzanine level with a cocktail lounge — giving you the perfect view of the opulent décor and restaurant below. Three courses and a glass of bubbly will set you back just £29.95 a person, with tables big enough for groups of up to 14 people. How about a game and wild boar terrine, before indulging in a grilled rump of lamp with glazed purple carrots? The Amarula and peppermint cheesecake is sure to be a winner. As for drinks — a £24.95 voucher gets you five from a house selection. 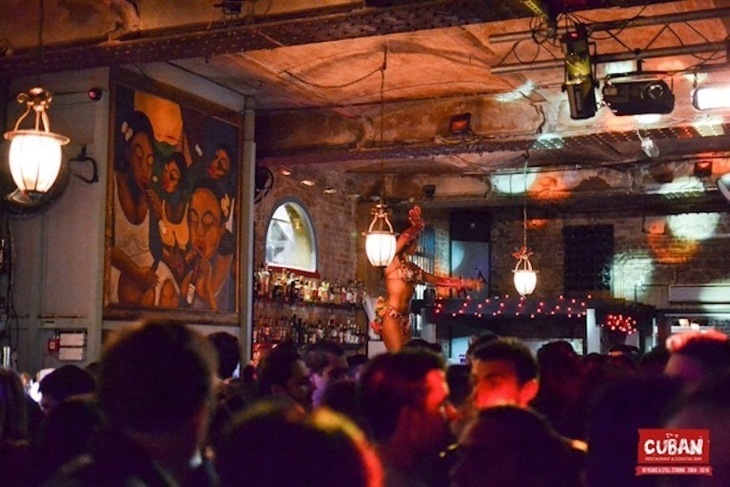 Salsa music and Latino vibes are the order of the day at The Cuban, which offers up a South American twist on a traditional Christmas affair. Exposed brick walls and an eclectic interior offer a less formal, and guaranteed more lively, night than your usual office festivities. Choose between a night with live music or a salsa class, for some top entertainment to accompany the festive food. Start your evening with a feast of mixed tapas as you nibble and natter, then dig into honey and rum glazed turkey for a boozy take on a Christmas dinner. 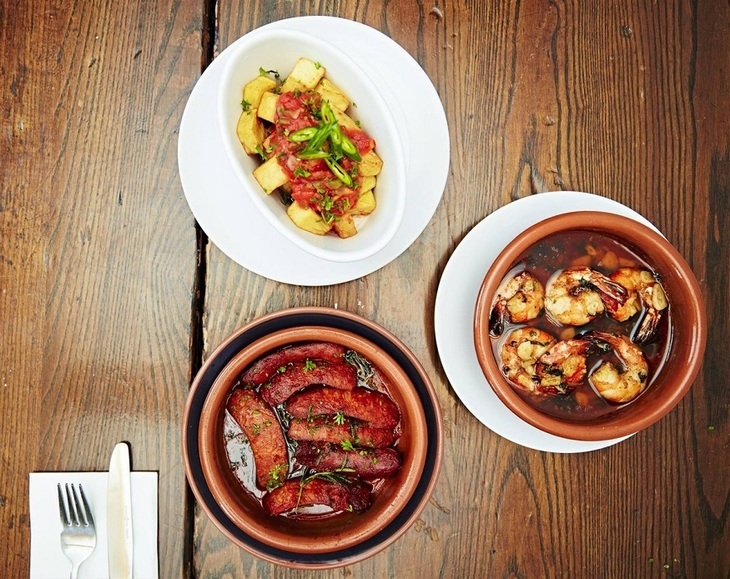 Three courses here will set you back just £29.95 per person — fantastically good value if you also consider the selection of over 150 rums you can explore post-dinner, and the Cuban dancing you will enjoy until the early hours. Sound like a Christmas party you'd like to experience? Time is running out before the big day, so we suggest booking pronto for a festive night with exotic food, plenty of drink, and a lot of Christmas spirit. Check out the websites to find out more about the Christmas deals on offer at Gilgamesh, Shaka Zulu and The Cuban.